Priority 1 Canine - Can A Protection Dog Compare To A Home Security System? 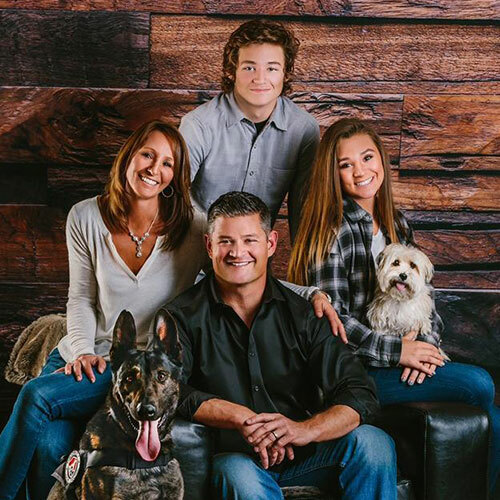 In our last article in this series, we touched on how protection dogs can work in combination with firearms to provide a superior method of home defense and protection. In this installment of our "protection dogs versus alternative security measures" series we will discuss how protection dogs measure up to home security systems. As this is probably the most common form of home security for most, you may be quite surprised at what you will find. Security response time: Home security systems and alarms have come a long way and include convenient smartphone apps and wireless connectivity. However, there are certainly drawbacks to this method of protection. When a break-in occurs, an alarm sounds and police are notified via a central monitoring system. However, the time between when officials are notified and when they respond can take forever - several minutes to possibly even 20-30 plus minutes. Time is precious during an invasion. Every second counts. A protection dog is available 24/7 and ready to defend at a moment’s notice. Trained, Intelligent Canine Response or a Loud Beep? Protection dogs are trained to engage intruders or any threat to the family. Home alarms are simply programmed to beep loudly if a sensor field is broken. There is a huge difference between these two. Would you rather rely on a highly skilled animal that understands the appropriate response to make to a threat or a machine that just “knows” to make a sound if XYZ occurs? If a criminal truly wants to break into your home, an alarm is unlikely to stop him. It is not uncommon for a burglar to wait for a homeowner to enter the home and then use brute force to coerce the homeowner to enter the code to disable the alarm system. At that point, the home and the individual are completely vulnerable with essentially no protection. A protection dog is not susceptible to this same brute force coercion. 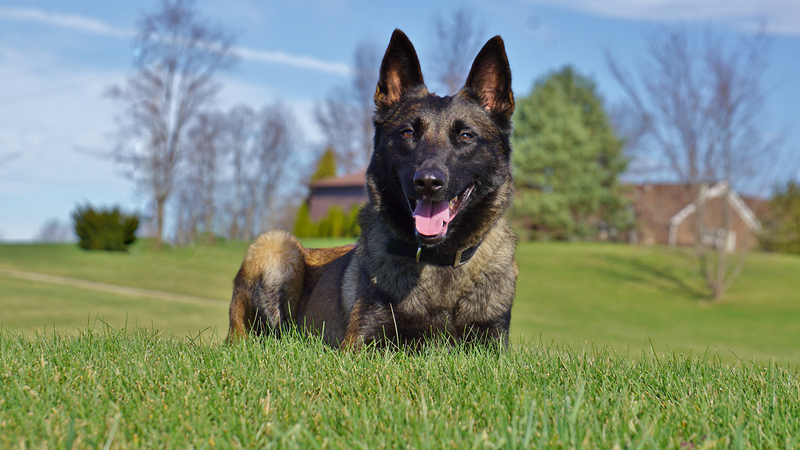 A burglar loses the capability to strong arm a homeowner into “turning off” a protection dog. Furthermore, a protection dog will be trained to actively take part in a struggle between a homeowner and an intruder should an intruder forcibly enter behind the owner. No Electric? My Dog Doesn't Need It! Power outages and internet connectivity issues can pose a huge threat to the reliability of a home alarm system. Burglars can recognize a home with a security system via an outdoor placard. Knowledgeable burglars can also manipulate power to the home in order to disable these systems. Your home is left defenseless to the attack. Protection dogs are not affected by a power outage- they can't be disconnected or turned off! These animals are prepared for all circumstances. How many times have you hopped into bed at night and thought, “Did I turn on the alarm system?” Many times we just assume that we have to avoid having to get out of bed and go downstairs to check. A mistake like this leaves your home open to intruders and attackers and leaves your family in a dangerous position throughout the night. Unlike an alarm, you never have to worry if you “turned on” your protection dog. This security is ALWAYS on. If you want a full-proof security system for your home and family, you must consider a protection dog. Immune to the common malfunctions of home security alarms, a protection dog will provide a peace of mind that is unmatched by just an alarm. Certainly, the combination of the two provides an even better level of protection for your home and family.